This one’s real quick and easy! This stamp effect is perfect for adding a bit of texture to your artwork without overdoing it. We’re going to kick things off in Ai. Create a decent-sized canvas, approx. 4000-6000px square. We’ll cover why so big in a sec. We’re using the below to play with, but you can use a piece of lettering, an icon, illustration; whatever you want to stampify. Fig. 01 – Roughin’ is set in Edmondsans. Select your artwork and head up to Effect > Distort & Transform > Roughen.... Check out the settings we used below as a guide, but go to town and twiddle those numbers to get a result that works for you. Fig. 02 – Selecting Relative can look pretty screwy though, probably avoid that option. Fig. 03 – We opted for a relatively subtle amount of roughness—just to allude to ink bleed from a stamp. You can see it’s looking	a little less sterile already. Now we’re ready to throw it into Ps for some texture. Rubber stamps never lay down a perfect deposit of ink. This, along with the fibres of your paper, contributes to a lovely natural texture that makes stamps so sought after. We’re going to fake this using a photo of some concrete. The rough specks and grooves lend themselves surprisingly well to the task at hand. Now we’ll desaturate the concrete by adding a Hue/Saturation adjustment, which you can find in the Adjustments tab ( Window > Adjustments ), or by clicking in the Layers tab. Set the Saturation to -100. 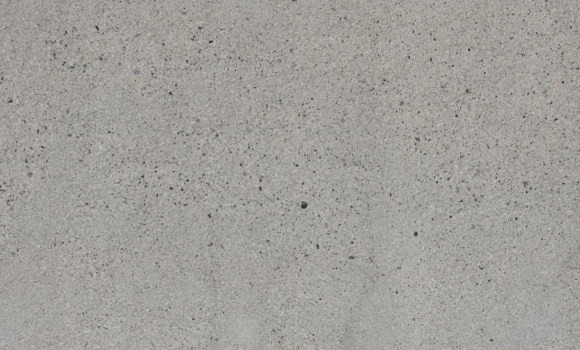 At the moment, the small flecks and marks in the concrete that will make up our stamp texture are the darkest areas in the concrete. We actually want the inverse of this, so select Invert from the Adjustments tab, placing it at the top of your other layers. Now add a Brightness/Contrast adjustment layer. Punch the Contrast way up into the 90’s (adjust to taste of course), and fiddle with the Brightness to determine the strength of the concrete texture. More Brightness = heavy, crustier texture. 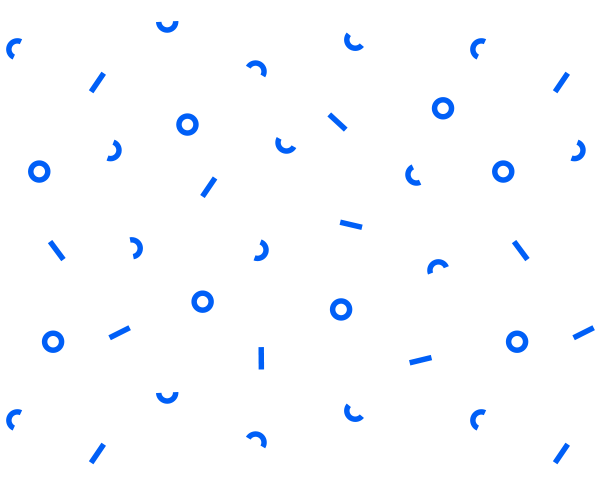 Less = subtle, scattered texture. Fig. 06 – Your design should be looking a little something like this. You could almost stop here, but we’re going to add a few more steps that’ll really help to sell the effect. Fig. 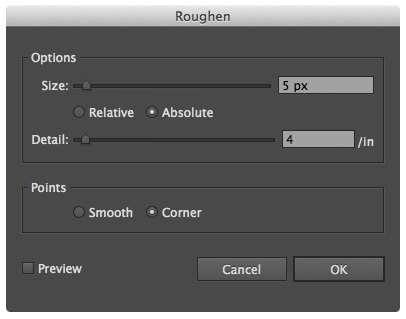 07 – Be sure to experiment with the Size slider. Fig. 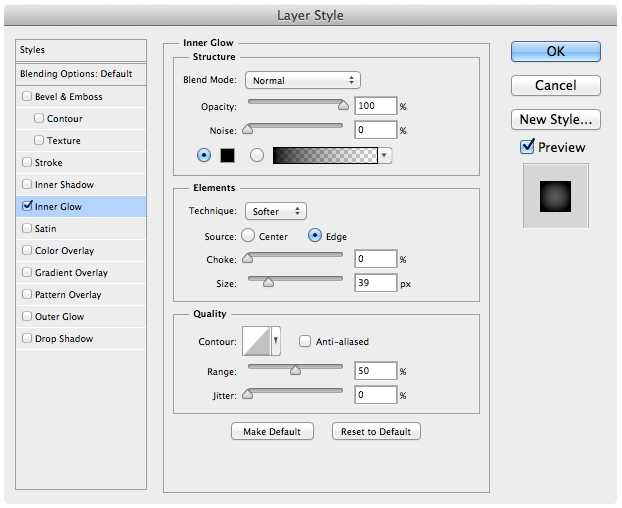 08 – The layer style appears above the clipped layers, so the Inner Glow appears over the concrete texture. Turn your Invert layer back on, and you’re ready for the final touch! In Fig. 03 we roughened up the edges of our design. This was a shout-out to ink bleed, and in this last step we’re going to drive that effect home even further. It’s the same technique as the one we described in our tutorial on creating a logotype (Fig. 16). With your main artwork layer selected, go to Filter > Blur > Gaussian Blur.... We chose a 6px radius, but this will depend on your canvas size. Choose a value that feels good, step back, and proudly survey your result. Looking good! All that’s left to do now is prepare your file for easy use. At the moment you’ve got a wonderful mess of clipped layers, blurs, adjustment layers and solid backgrounds. We will go into more detail on sweet document management / non-destructive / action-enhanced workflows soon in an up-coming tutorial (subscribe to stay posted), but in short you’re best off a) saving a copy of your stamp effect Ps document, b) flattening all the layers into one c) following the process described in our tutorial on isolating type and d) wrapping this all in an action for easy use next time. Seriously, this next tutorial is going to be a cracker, so subscribe and keep an eye on your inbox! Our type was looking rather lonely all by itself, so to add a little interest we created a pattern—and decided to make it available to you guys in our Shop too! Enter coupon code STAMPTUT on the Cart page to get 50% off Sprinkles & Winks as well as all other paid resources. This offer expires Friday 23rd 2014, so don’t dawdle. Nice work guys. As always, we love hearing from you, so send us any questions, suggestions or comments to [email protected]. If you found this tutorial helpful, share it around with those buttons at the top. Thanks so much for joining us, keep a look-out for more tutorials, interviews, new projects Laura and I are working on and even an Inspiration section coming soon. Exciting times ahead, can’t wait to share them with you. You can totally work with multiple colours, you’ll just have to run this effect over each colour individually and put them together, as the process relies on desaturating your artwork. Excellent resources, thoughfully designed and presented. Will link back plenty to give my students a heads up on some decent tutorials. Thanks! Thanks for the post! This tutorial was super easy to follow except I am stumped as to how to add the color back to my logo. Attached is a screenshot of what it looks like thus far. What do I need to do to change it back to the single color it was? Thanks! Hey Kristin! Design looks great. From memory (I don’t have the .psd in front of me right now), you need to make sure the invert adjustment layer is clipped (technique described just beneath Fig. 04) along with the texture etc. Give that a try, and hit us back if it doesn’t work. Your tutorial didn’t explain how to get the design back to white. I have the invert layer on top and everything is black. Hey Luis, apologies if we didn’t make this clear; just make sure your invert adjustment layer is clipped to your text, just like your texture layer (process described just beneath Fig. 04). Let me know if that helps! Hi, just tried this. Did not work. Edges were extremely jagged what ever I did. Was there something I forgot to do? It was outlined text. I also tried it with a circle. Help/please/thanks. Hey V, would you mind sharing a screenshot so I can see your issue a little better? If you’d like, send an email to [email protected] with any questions, and we’ll do what we can to help out. To constantly create at the highest standard, whilst aiming to inspire & equip others to do the same.